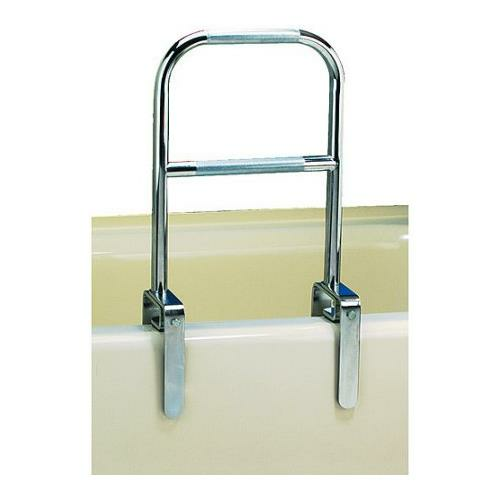 Carex Dual Level Bathtub Rail provides a high-low grip support with two textured finish gripping areas, including a straight crossbar. Chrome finish inhibits rust. It comes with adjustable steel spring clamps for accurate fit. Protective rubber pads prevent scratching.